PJ"As well as designing and developing your website we can also host and maintain it for you. This all links in with the SEO of your site as it is important that the content and information on your site is regularly updated to maintain your ranking in search engines. 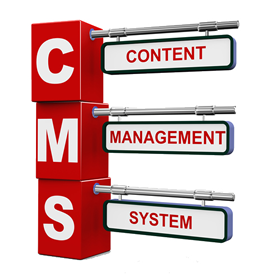 Content Management System - A CMS allows you to control and manage content on your website very easily. Using this central interface, it allows you to publish, modify and delete images and text on your site without interfering with the coding or layout. We will explain this you in greater detail and give you a tutorial on how to use it. Hosting and Maintenance This price plan depends on the type of website you have and how regularly we will need content, images and posts updated. We like to tailor make each package specific to your needs to please contact us further to discuss the right plan for you! Prices vary between £16.99 p/m to £99 p/m. The leading search engines, such as Google, Bing and Yahoo!, use crawlers to find pages for their algorithmic search results. Pages that are linked from other search engine indexed pages do not need to be submitted because they are found automatically. Please click here to view more about our SEO packages.